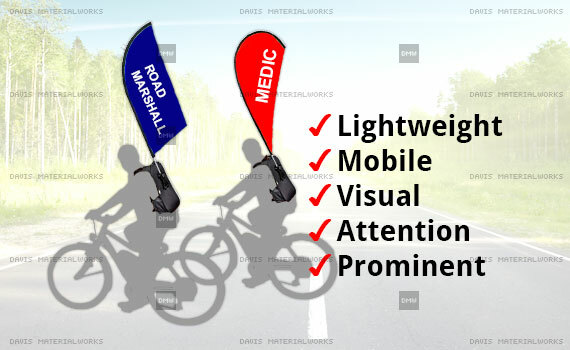 - The most advanced man-pack flag system for branding exercise during events. 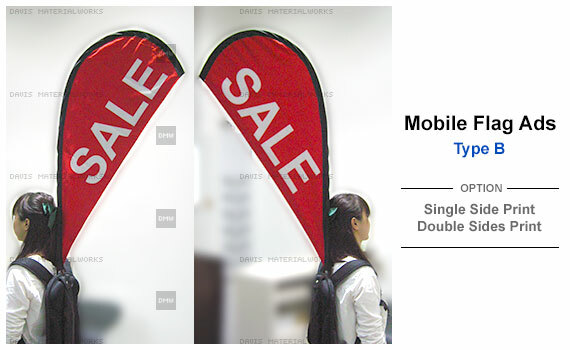 - Eye-catching hassle free for move around. 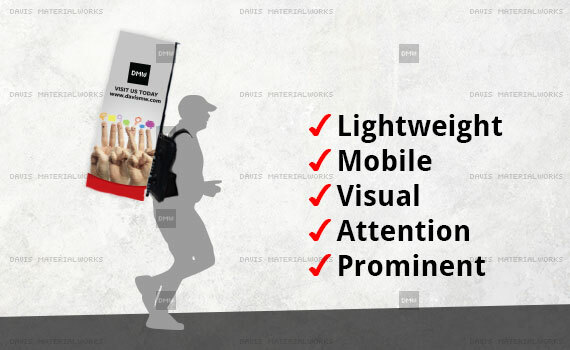 - Slim, light & stylish bag pack system with changeable ads. 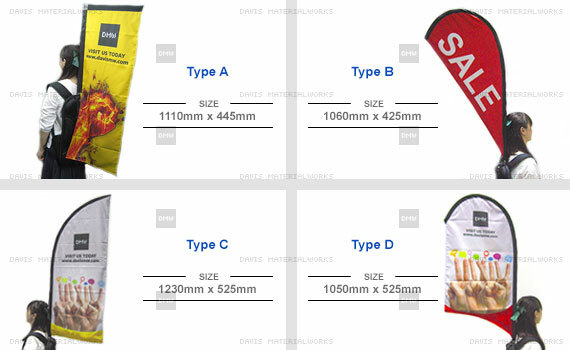 - 4 different shapes of flag for your options. 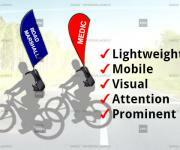 - Sports activities (e.g cycling event). 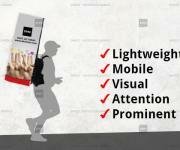 - Flyer / Gift distribution. 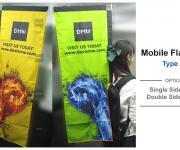 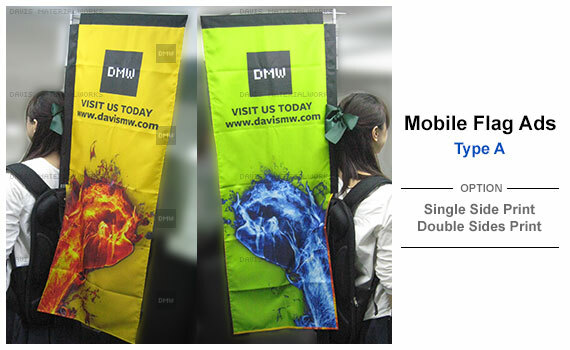 Material: Full color fabric printing for 4 sizes of flag. 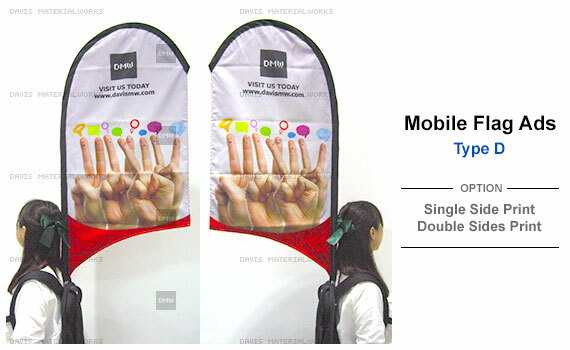 Back pack system with printing of flag advertisement. 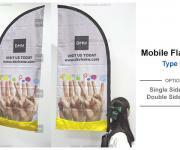 - Product is only for rental. 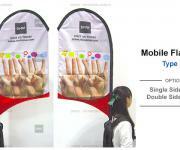 - Rental cost based on per event (3 to 5 days). 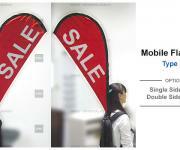 - Pre-order is highly recommended due to limited stock. 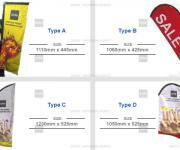 - Kindly email in your venue / renting schedule and quantities of order. 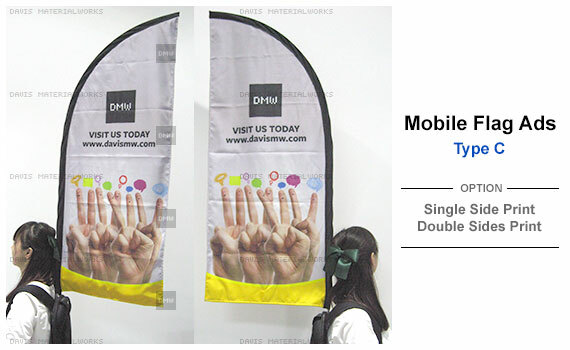 - 10 days lead-time for custom fabric printing.